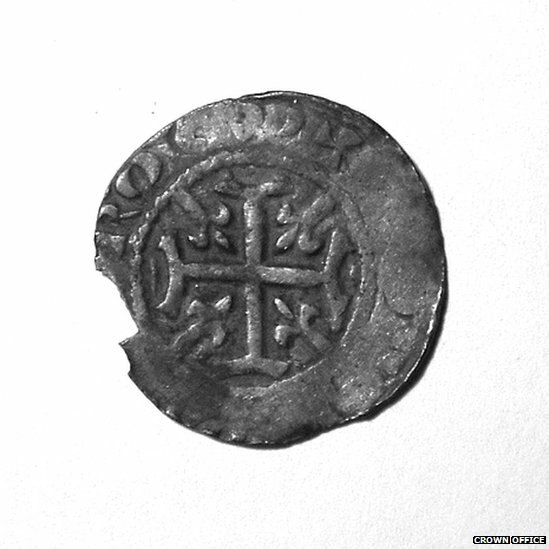 A 12th Century silver penny of William the Lion found at Wester Balgedie, in Perth and Kinross, is among the highlights of the seventh annual Treasure Trove report. 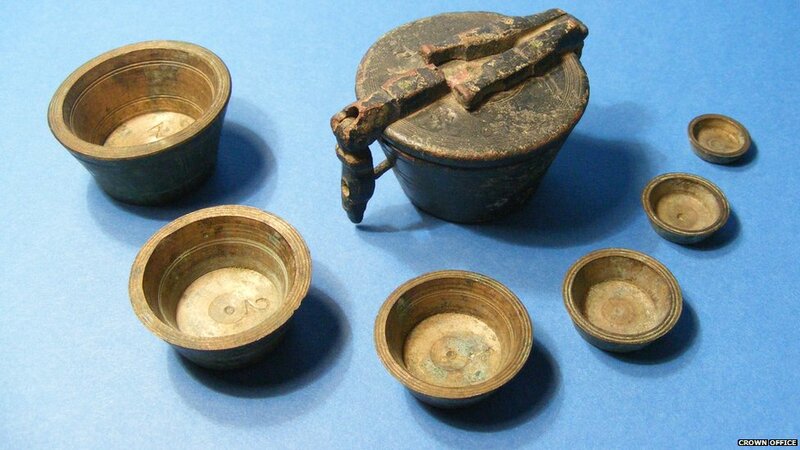 A merchant's weight set dating from the 1700s was uncovered at Fortrose in the Highlands. It was made in Nuremberg. 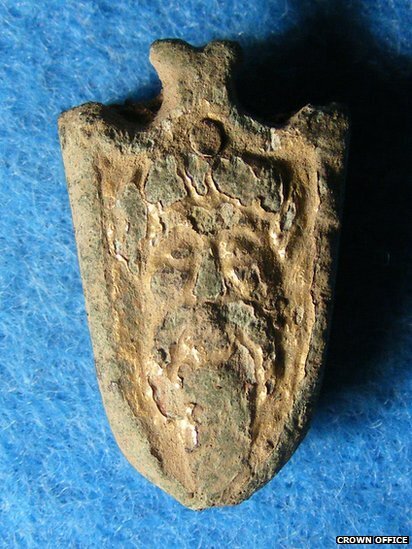 This 15th Century gilt and copper alloy end for a leather strap, or belt, is decorated with the face of Christ. The find was made at Crichton, Midlothian. One of the rarest finds recorded in the new report is a copper alloy cast made in the shape of an eagle from Roman times. 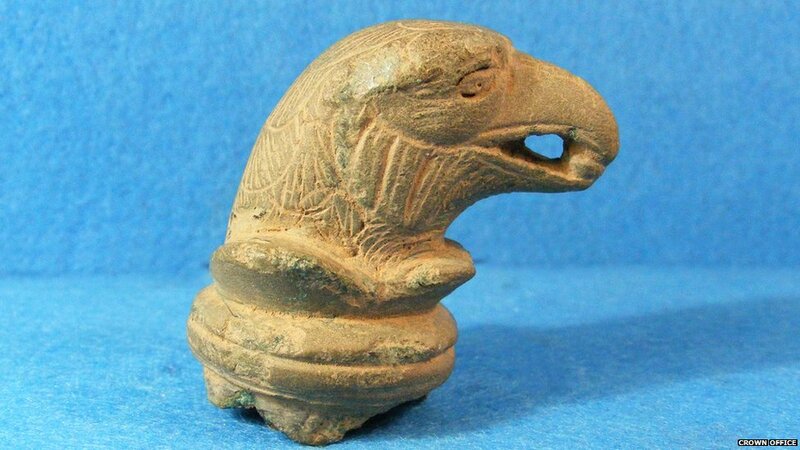 Representing the sacred bird of Juno, it was unearthed at Selkirk, in the Borders. 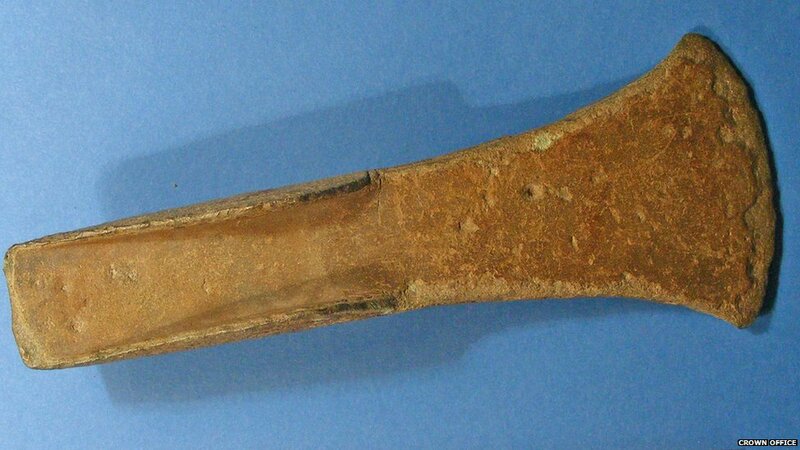 A Bronze Age axe head was found in a stream at Wanlockhead, in Dumfries and Galloway. The finder was panning for gold at the time. 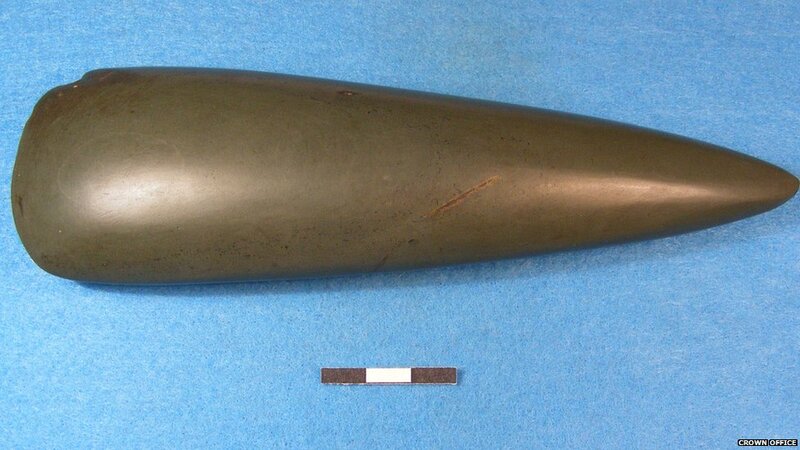 This Neolithic axe head recovered from a peat bog at Crook of Devon, in Perth and Kinross, is thought to have been used as a ritual offering. 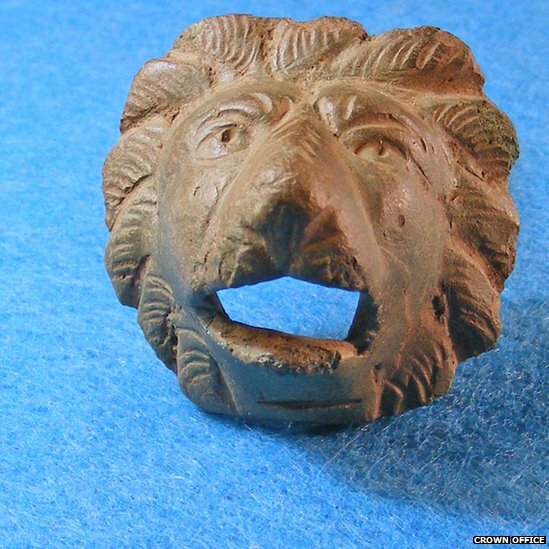 Another Roman relic was this lion head used to decorate caskets and boxes uncovered at Castlecary, Falkirk.